Forty and Eco-Fabulous: New Shampoo for the New Year! DESERT ESSENCE is celebrating 40 years of health-conscious personal care products made with sustainably-sourced ingredients like tea tree oil and jojoba oil. Four decades later, they remain ever-committed to a legacy of goodness, and we get to reap the benefits! I want to bring to your attention these NEW salon-quality products that offer simple, natural remedies for healthier hair. Wavy, straight, short, coarse—no one hair type is exactly the same. Luckily, with DESERT ESSENCE hair care products you’re never short on abundance or variety. 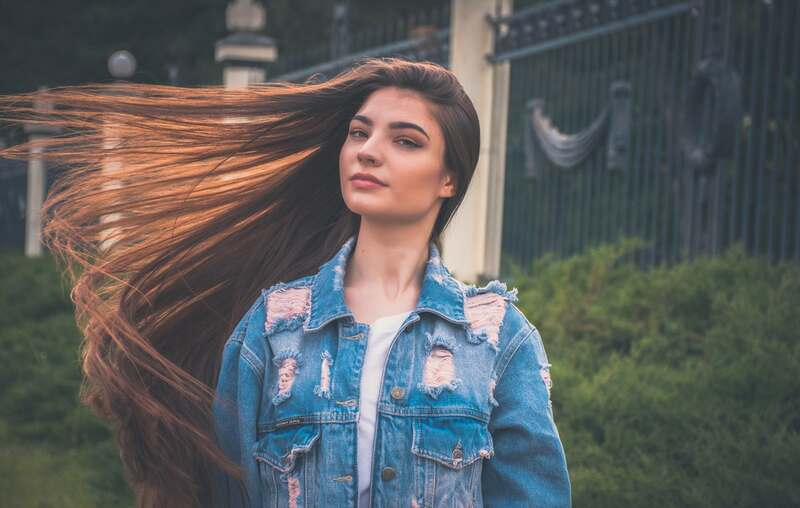 Nature’s ingredients are plentiful, each so unique that you’re bound to find one that works for your type and needs hair care products you’re never short on abundance or variety. DESERT ESSENCE Smoothing Shampoo, Conditioner and Primer are infused with Apple Cider Vinegar and Quinoa Protein for smooth, sleek hair, and an exclusive Hi-Gloss Technology™ that increases shine 5X1. Maiden Hair Fern, Wild Thyme, and Rosemary help invigorate the scalp, while Jojoba Oil boosts radiance. Use to smooth the hair cuticle, remove product buildup, and balance scalp’s natural pH without stripping moisture. 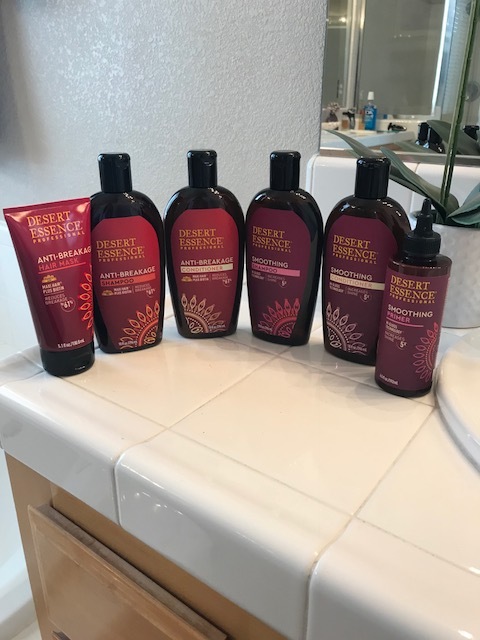 DESERT ESSENCE also introduces their new Anti-Breakage Shampoo, Conditioner and Hair mask. They contain Country Life Maxi-Hair® plus Biotin, a breakthrough formula with Keratin and Pro-Vitamin B5 that helps reduce breakage up to 61%2. Rich in nourishing Jojoba and Coconut Oils plus Aloe and Saw Palmetto, this salon-quality shampoo helps smooth hair follicles as it fortifies and revitalizes hair strands. I like using these products as an “in-between” product with shampoos. I use it to revitalize my scalp and rid myself of my “regular” shampoo (Redken) build-up and both of these sets will do that with their amazing tea tree ingredients. With these two new choices in hair care and repair, you can count on DESERT ESSENCE to really clean your hair and leave it soft and shiny in the process. Best of all. feel good knowing you are using top-notch organic products.